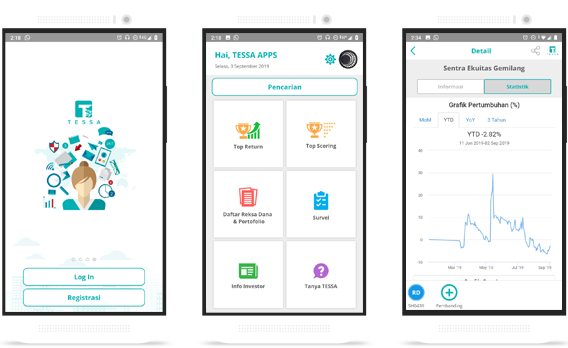 We created another mobile – based application that provides a full range of data and information on the latest and most complete mutual fund, namely TESSA, TESSA helps you monitor the performance of mutual fund and compare them with reference indices and other mutual fund products. Data availability in TESSA is NAV/unit, return (1D, MoM, YTD, YoY, 3Y), AUM, Infovesta Scoring (6M, 1Y, 3Y), fund fact sheets, performance graph and comparison charts. TESSA can be downloaded via Playstore on Android or App Store on iOS.